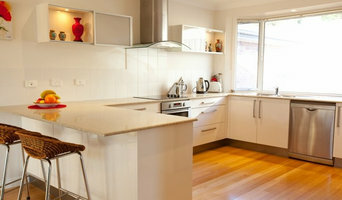 FUS is proudly Tasmanian owned and all of our kitchen cabinets and stone benchtops are locally manufactured in Tasmania. 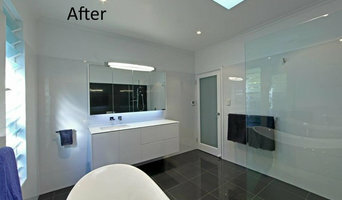 Our Showrooms in Hobart and Launceston service customers in all areas of Tasmania. Our experienced in-house designers use state of the art 3D computer technology to present life-like pictures of your new kitchen so that you can actually see your new kitchen to enable you to make your decision to proceed with confidence. Once you have chosen your FUS kitchen, our in-house installation team will be available to professionally install and fit your kitchen for you. WD Bryan Joinery House is a totally Tasmanian owned and operated manufacturer of high quality interior renovations; specialising in kitchens and bathrooms and all joinery products. EZIKIT are manufacturers of custom built flat pack kitchens. Made to measure, 3D designed, just how you want it with peace of mind. EZIKIT Kit-Form Kitchens without compromise! Totally Kitchens is a locally owned and operated independent business. Over 40 years of experience with designing and installing custom and semi-custom cabinetry in new homes and home renovation projects. Expert design consultants to help plan and execute your project on time and within budget. Wide range of materials, designs, styles and finishes to customise to match your personal preferences: Contemporary, Traditional, Old World, Urban, Rustic Cabinet Door Styles Maple, Cherry, Oak, Hickory, Alder and other materials catering to a variety of tastes and budgets. Experienced staff and custom shop with exceptional servicing and troubleshooting capabilities. Excellent product warranties on manufacturer and installed products. Stylish storage for any area of your home including custom-designed office, laundry, entryway, garage, library, bar and entertainment area. Extensive range of counter tops including granite, quartz, solid surfaces and laminates to match your functional and design requirements. Latest hardware and accessories accentuate your chosen style and provide a finished look. John is one of Melbourne’s leading kitchen designers with over 30 years’ experience of creating stunning designs to suit his client’s needs. With a passion for form and function and the use of colour and materials, John’s clients can enjoy his legendary attention to detail and award winning designs. John began his career in the building industry after completing a four-year apprenticeship as a carpenter and a three-year building construction degree at Swinburne Institute of Technology. John worked initially as a sub-contract carpenter with Merchant Builders, one of Australia’s most innovative and award-honoured home builders. Following this formative experience, he travelled to Europe, where he spent seven years training and working as a commercial deep sea saturation diver in the North Sea, before moving to the USA. Returning to Australia, John decided to apply his building knowledge to the kitchen renovation industry and became the protégé of the renowned Hans de Weerd, founder of one of Melbourne’s most innovative and respected kitchen design companies. John undertook additional studies to further his qualifications and is a Certified Kitchen Designer and a member of the Kitchen and Bathroom Designers Institute. In 1992, he won the inaugural Trends/HIA – Kitchen Designer of the Year Award and has since been recognized as one of Melbourne’s most awarded kitchen designers having completed over 1500 kitchen renovations. In 2006, John set out to create an environment in which the public could visit a world class kitchen showroom where they could immerse themselves in stunning designs, with the most up to date selection of materials and labour saving hardware and fittings. In collaboration with Peter Schelfhout and Michael Simpson, directors of Perennial Kitchens, The Kitchen Design Centre opened in 2007 with unprecedented success. In 2013, John undertook the task of designing the second showroom for The Kitchen Design Centre which again re-set the benchmark for innovative kitchen displays. John’s commitment to his clients is such that he will always see the project through to the final handover and will pay attention to the smallest of details to ensure a proper installation and a totally enjoyable experience. When not immersed in his clients kitchens you will find John training for his other passions which are triathlons and boxing, and spending time with his daughters. There are many types of kitchen professionals in Hobart, Tasmania – from cabinet makers, to carpenters and interior designers – and many trade professionals offer a full suite of expertise. Depending on the size of your kitchen renovation, and the kitchen designer, they may also hire contractors on your behalf and manage the project from beginning to end. Here are some related professionals and vendors to complement the work of kitchen & bathroom designers: Kitchen & Bathroom Fixtures, Appliances, Tile, Stone & Benchtops, Joinery and Cabinet Makers, Carpenters. 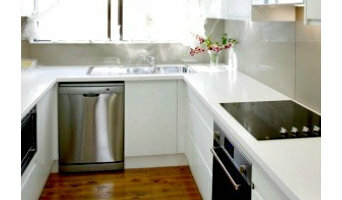 Find a Hobart, Tasmania kitchen designer on Houzz. 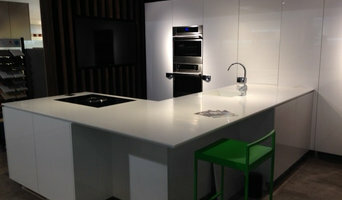 Browse the Professional section on Houzz to find kitchen designers in Hobart, Tasmania. Then, scroll through photos of their latest kitchen renovations and see how their work compares to the scope of your project. You can read reviews to see how other homeowners rate their work, and message them directly to to ask any specific questions.